[Note: This was originally posted on March 9, 2011. I’ve updated the post with new context and footnotes.] Angela Bofill recorded a number of great songs, but none stand the test of time like “I Try”. Recorded in 1979, “I Try” is the gold standard for R&B break-up songs. It’s is her signature song, from her best album (Angel of the Night). Angela sang all that bitter teenage angst like as if she had a copyright on it. I love this song. I absolutely, positively, emphatically love this song. It’s easily one of my top 5 favorite songs EVER. “Superwoman…” is a song in two parts. The first part is about “Mary”, who wants to leave and become a movie star; the second part (“Where Where You When I Needed You”) has Stevie wondering why his lady hasn’t returned yet1. 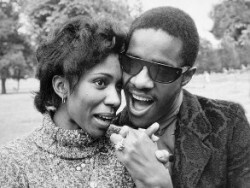 The truth behind the lyrics are such: The song is about Stevie’s relationship with Syreeta Wright (to whom he was married to for 18 months in the early 70s). Stevie produced much of Syreeta’s music, but she wanted to go off and do her own thing and Stevie wasn’t so into that (supposedly he can be a control freak in the studio). You hear this in the lyrics – “Mary wants to be a superwoman and try to boss the bull around.” Mary is really Rita (Syreeta’s early recording name) and Stevie is “The Bull” (Stevie is a Taurus; he named is production company Black Bull)2. 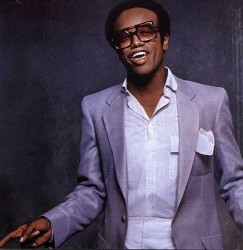 Coming in at number three on my list is Bobby Womack’s “If You Think You’re Lonely Now” (from 1981’s The Poet). Unlike the other songs on this list, this ballad has balls (for lack of a better word). Bobby’s tired of his trifling, no-good, gold-digging woman, and walks out. No sad goodbyes, no regrets1. 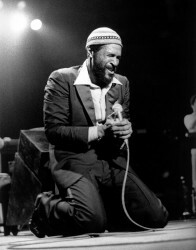 Marvin Gaye had an affair with a 17-year old woman by name of Janis Hunter (his muse for the classic I Want You album). Anna (his then wife) filed for divorce and Marvin was forced to pay a large sum of money. Marvin was going through the nose candy like Tony Montana; as a result he can’t pay everything. The lawyers negotiate an agreement that some of the payment would come from Marvin’s next album. In my old blog, I randomly posted “Here’s the best break-up song ever – Guy’s “Goodbye Love”. My brother called b.s. immediately – and he was right. I love that song, but it’s not the best break-up song1. Heck, it’s not even in the top 5. So that got me thinking – what are my favorite break-up songs? Break-up songs have made a resurgence as late – with Adele’s “Hello” smashing records left and right2. So, here, in a very un-scientific method 3 are my top 5 break-ups songs. 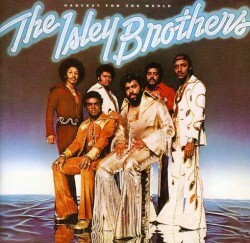 Number Five – The Isley Brothers’ “Let Me Down Easy” (off 1976’s Harvest For The World). I love this song; it’s one of their most underrated tracks off of one of their most underrated albums. “Let Me Down Easy” first shows up in the intro track “Harvest For the World Prelude”, but doesn’t get its requisite shine until the second side (yes, I originally bought this LP on cassette, and always thinks of the songs from a Side A/Side B point of view). Chris Jasper crafts a great intro4 which seamlessly leads into Ron’s falsetto.